When buying a new Honda in Anaheim, you’ll get exceptional warranties to help protect your investment for years to come. The original battery on your Honda will be covered under the New Vehicle Limited Warranty, which is valid for 3 years or 36,000 miles. If you buy a replacement battery directly from Honda, you’ll receive a Honda battery warranty for 100 months, or about 8 years. The average car battery lasts anywhere from 2 to 5 years, but there are many factors that can affect its longevity. Driving patterns, extreme weather conditions in Tustin, and regular use will impact your battery’s performance. Batteries lose their ability to hold a charge over time, and when a vehicle is left parked for extended periods, it can greatly deteriorate the battery’s ability to start. Turning off lights at the end of your drive: Leaving headlights or cabin lights on after exiting your vehicle is a major drain to your battery, especially since no one is actually using them. This also includes avoiding use of electronics while you’re idle, as that makes the battery work harder. Avoiding short rides: When you make a quick trip, your car battery doesn’t have much time to fully charge. Especially sudden temperature spikes in Mission Viejo, this can put extra strain on the battery. Performing regular maintenance: Sticking to your service schedule as a whole will help protect your battery, as technicians will check its performance and ensure it’s securely fastened. 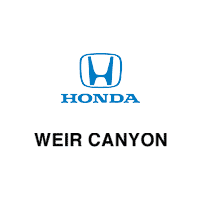 Get the most out of your Honda battery warranty when you work with the service team at Weir Canyon Honda! We make it easy and affordable to keep your Honda running strong, thanks to certified technicians and regular service and parts specials. From the convenience of your cellphone or personal computer, you can order a Honda battery or schedule service for battery replacement in Anaheim. Questions? Simply contact us today. 0 comment(s) so far on What’s the Warranty on a Honda Battery?